Rising levels of crime in the countryside is costing the UK more than £44m a year, according to new figures. ​A study reveals that crime in agricultural areas is now at its highest since 2013, with the Midlands one of the worst hit regions. Estimates from NFU Mutual, which insures more than 75% of farms in the UK, shows the cost of thefts from rural homes, businesses and farms currently stands at £44.5m, an increase of 13.4% and the highest year-on-year rise since 2010. The farming community is now calling for an overhaul of the way rural areas are policed. The professionally organised criminals, are very active in affluent rural areas. With most burglaries conducted using the cover of darkness. How can the use of security drones at night assist with rural crime prevention. 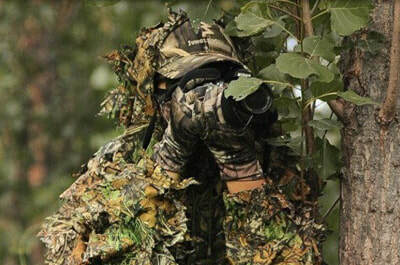 ​Their M.O is to first conduct reconnaissance on a location. A planning phase, and later follow up with direct action. From what we see, they're good at it. They will explore weaknesses, both physical (gates), technical (cameras), and personnel (staff and security). ​​Nope, not train spotters. The serious looking guy in the ghillie suit!! A 'dicker', or spotter we used to call them in the military. An individual observing a location or person. Drawing up a plan, and observing weaknesses. In a rural setting, perhaps a high net worth estate (HNW) . How best to penetrate?, and whats on offer. What is the risk to their team? Are the rewards worth that risk? With the reconnaissance and planning completed, its onto the execution of the operation. They weld an RSJ onto the front of a locally stolen 4x4 and ram the exterior perimeter gate. Cross the open ground as quickly as possible, and go for the vehicles or access points to buildings recognised as weak in their planning. ​​We're not reinventing the wheel here. You always need boots on the ground. But those boots rely on as much 'notice' as possible to be most effective. Cameras are great, CCTV offers security multiple arcs to view quickly. IR sensors and lights all add to the onion layer effect you have for effective security. With attached thermal imaging sensors, we can now scan the entire estate in 30 seconds. Something that took a team member 50 mins to walk around. There is no guarantee, that an aggressor would be 10 ft away in the depth of winter on foot patrols. Your torch light and even night vision would not penetrate the weather or garden features. With a drone and its powerful night capability, it offers the security team huge advantages. Hardening the target, making the site more secure by deploying drones, and sending a message to those who are intent on criminal activity, that we operate advanced security teams. It shifts the Risk vs Reward. And moves the criminals elsewhere. An easier target.